Join the movement! Golden Girls living is taking off nationwide! Sharing your home and life with others provides the opportunity for laughter, companionship, and financial and emotional support as you go down that crooked path called life. Have an extra room? Would you like to find another woman or man to live with? Want to try it? There is nothing to lose and a lot to gain. Curious yet? This book offers guidance on how to make your home attractive to roommates, questions to ask in an interview, how to handle pets, boyfriends, and other tricky situations, as well as hundreds of other tips about seniors sharing homes! Plus, it includes sample applications, leases, and other great resources. 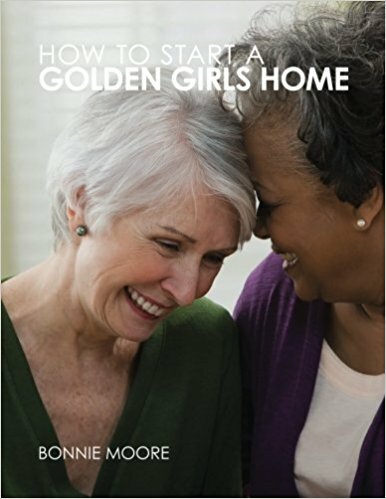 If you’re considering starting a Golden Girls home, but not sure where to start—or are thinking about shared housing but aren’t quite sure if it’s for you—you must read this book! This book draws on the experiences of shared housing expert Bonnie Moore—both in her own GOLDEN GIRLS HOME and those of the many members of Golden Girls Network. 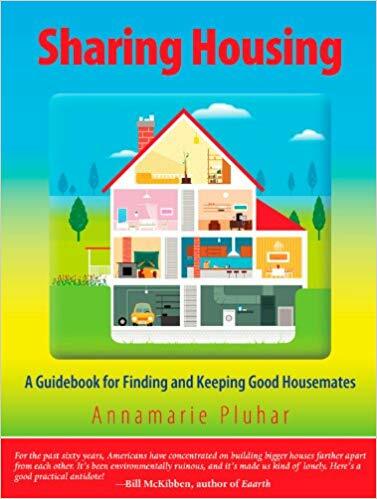 Sharing Housing, A Guidebook for Finding and Keeping Good Housemates contains everything you need to know to find and keep good housemates. This book guides you from the initial idea — maybe I should have a housemate– to actually living with one. The step-by-step process helps you consider what you need to have in a housemate, where to advertise, how to conduct the housemate interviews and how to manage the daily living together. It is for anyone for whom sharing housing is a good idea. For instance: A retiree in a large house, A twentysomething moving for graduate school, A homeowner with extra space ,A family man moving for a job. If sharing housing is in your future, buy this book.